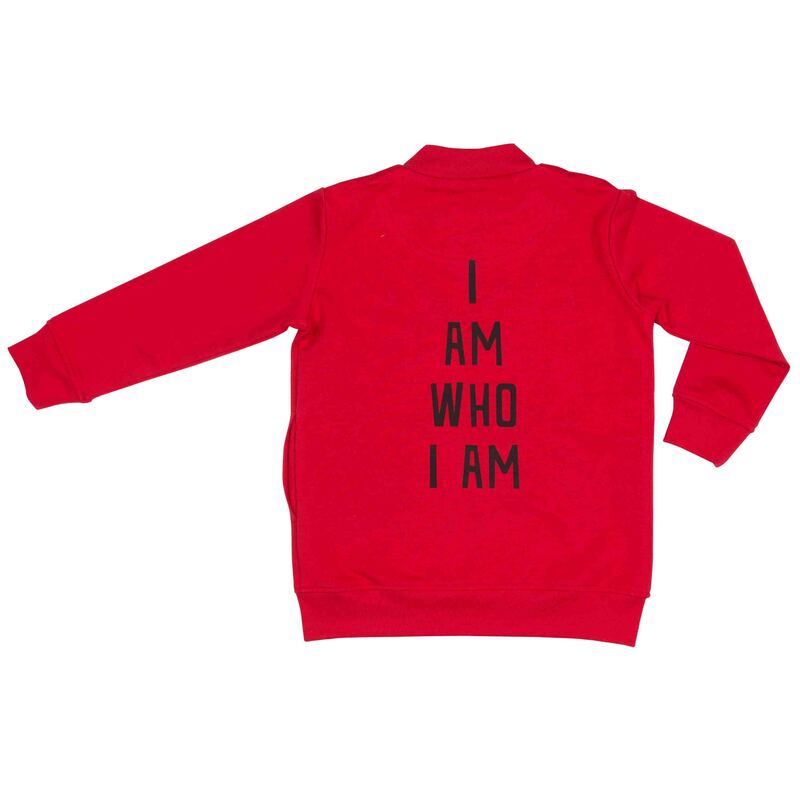 Dadamora’s new red Bomber with “I am who I am” printed on back is a must-have item for every little kid! 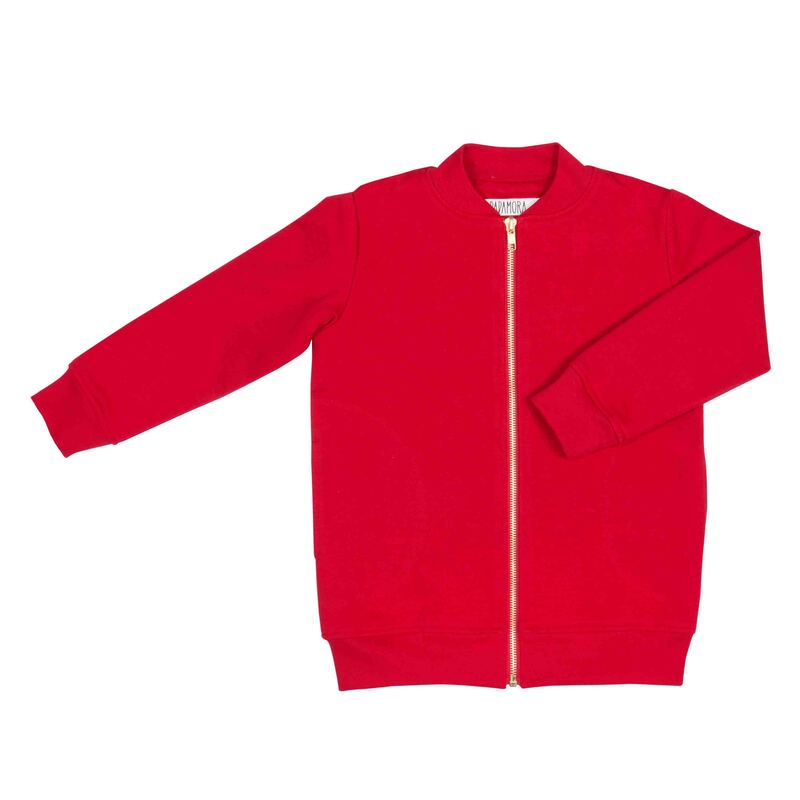 We made it a bit longer than classic bombers to keep the back warm and the fabric is super nice & soft inside. 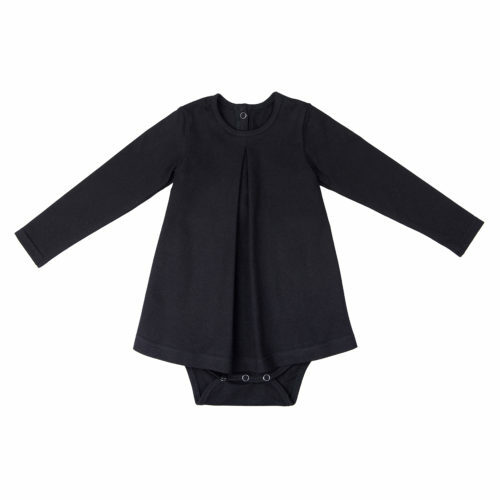 Plus pockets on the sides for storing tiny treasures! 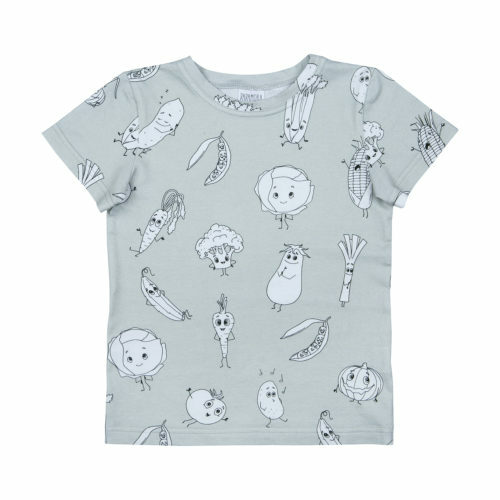 Made of 95% organic cotton and 5% elastane 2TF (brushed inside) fabric. This fabric has GOTS certificate.